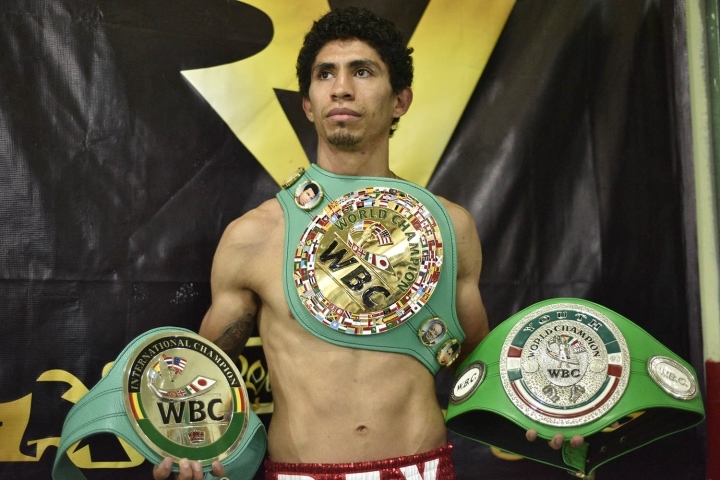 The World Boxing Council has announced that a deal was reached for the clash between Rey Vargas and Tomoki Kameda. The contest was due to go to purse bids in the next few days; however, the WBC was informed it won’t be necessary anymore as Golden Boy Promotions, TGB promotions and Promociones del Pueblo have reached an agreement. Vargas won the absolute title on February 25, 2017 defeating Gavin McDonnell. He has managed to defend it in 4 different times, plus, he has improved his undefeated pro record to 33 wins with 22 KO´s. On the other hand, Kameda, won the interim title by defeating Abigail Medina on November 12 at the Korakuen Hall in Tokyo. The victory made him the mandatory challenger to the crown. Tomoki (36-2, 20 KOs), who came to Mexico City at the age of 15 to learn the Mexican style of fighting, has been closely aligned with the WBC and held their youth, international and silver belts, plus the NABF crown, just to name a few. IN OTHER NEWS: World Boxing Council atomweight champion, Fabiana Bytyqi, will defend her crown against the Mexican national minimumweight champion, Soledad Vargas, this Saturday, April 6, on home turf of the Czech Republic. Fabiana comes back from conquering the atom crown of the WBC, after scoring a clear unanimous decision over Denise Castle, with scores of 100-90, 99-91 and 100-90, and thus becoming the first world champion from the Czech Republic. For her part, challenger Vargas of Mexico comes back from defeating Rosa Olvera by unanimous decision, thus conquering the Mexican national title. Marisela “Baby” Quintero will have a new title shot in order to try to achieve the dream she`s been seeking since she debuted as pro 10 years ago. The Culiacan fighter, who has been a national champion in Mexico, will fight for the World Boxing Council minimumweight championship, against the undefeated German Tina Rupprecht on April 6 at the BallhausForum in Unterschleissheim, Germany. Quintero has already contested in two world title bouts without success, against Esmeralda Moreno in 2012 and versus Ibeth “La Roca” Zamora in 2013. Tina Rupprecht won the world title on June 16, 2018, by defeating Yokasta Valle. She made her first defense defeating Niorkis Carreño on December 12 last year.